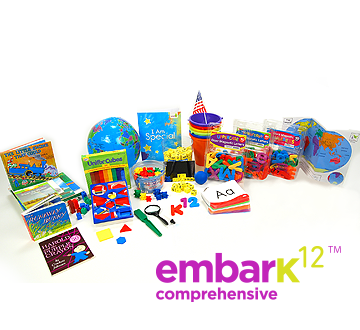 Getting Ready for Kindergarten with EmbarK12 | More Crunchy Beach Mama! I was looking at the online version last week. 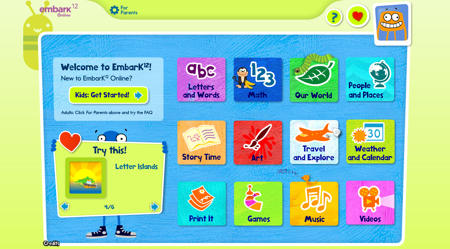 I noticed the online only had more activities available than the program that includes physical materials. Have you tried out the online activities very much with P? Does it keep track of the child’s level? Are there options for multiple children within the household to use the online program? Sorry for all the questions, I’m just wanting to try something different than ABCMouse.com for my 3 y.o. The Reading Eggs program looks good but I prefer a multi-subject program. P.S. That is great that they are offering a promo sale this week. It makes the risk a bit less.